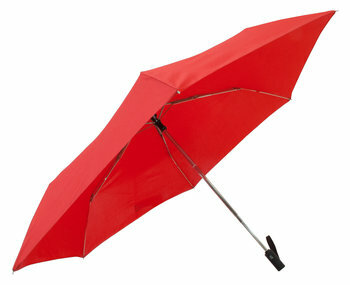 One Serious Umbrella: Most lightweight umbrellas are flimsy, and the stronger ones bring unwanted weight and bulk. 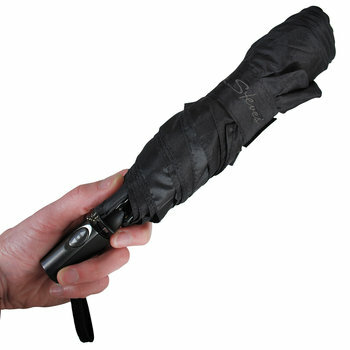 Ours gives you the best of both worlds: very durable and super lightweight. 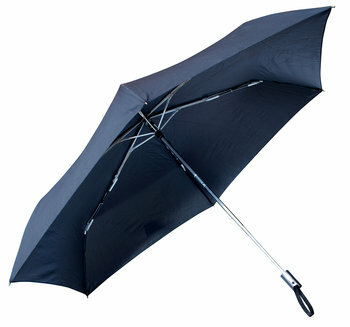 Heavy Duty: Its steel shaft/ribs and tough polyester canopy/case will stand the test of time and travel. Opens Wide: Extends to a generous 37" in diameter, 21" tall. Handy Pouch: Includes a breathable, quick-dry sleeve. 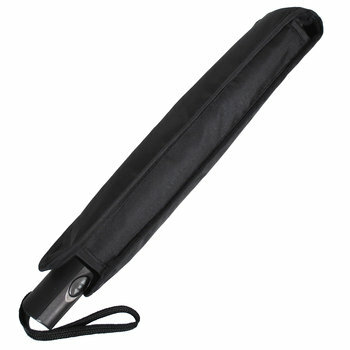 Spring-Loaded: At the push of a button, the shaft extends to its full length for easy opening. When the sun comes out, push the button again, and the ribs collapse for easy packing (the ribs need to be manually collapsed and locked into the shaft). 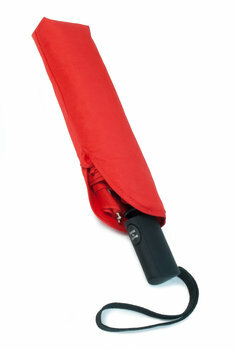 Great Travel Colors: Available in black or red.